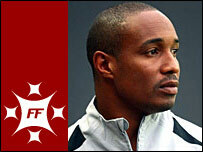 Paul Ince says the appointment of Fabio Capello as England manager is a "sad indictment of English football". MK Dons boss Ince is disappointed the Italian has been preferred to an English coach. Gareth Southgate and Steve Coppell are others unhappy that Steve McClaren was not succeeded by a compatriot. "It's a sad indictment on English football that we've got to go to Europe for a manager," Ince told Saturday's Football Focus programme. "We have got enough managers in England who could do just as good a job." The former England captain has made a promising start to his managerial career, saving Macclesfield from relegation last season before leading MK Dons to the League Two summit this time round. Ince, who won 53 caps, has been linked with a number of high-profile posts, including the recent vacancy at Premier League side Derby, but he is not optimistic about the chances of a compatriot managing his country in the near future. "In English football we say you've got to get your qualifications, you've got to do this, you've got to get that," said Ince. "But when you build your CV up and they go out and get a foreign manager, sometimes you think, 'what's the point?'" The 40-year-old added: "In time we're going to get to the stage - whether it's two years, three or four years - that Fabio might go and we've got to have a ready-made replacement for him and it's got to be English." There have been plenty of high-profile figures within football ready to give their backing to the 61-year-old Italian. Ex-England coach Eriksson, Tottenham boss Juande Ramos, Liverpool manager Rafael Benitez and England midfielder Frank Lampard are among Capello's supporters. "He is a very good man and manager," said Eriksson. "His record speaks very clear. He has won titles in Italy and is one of the best managers you can find." But although Middlesbrough boss Southgate backed Sweden's Sven-Goran Eriksson when he took the job in 2001, he has had a change of heart regarding foreign managers of England. "When I played (for England) under Sven I felt it was all right to have a foreign coach but I have changed my mind since then," said Southgate. "I don't think an England team should be coached by anyone other than an Englishman." Reading manager and former England international Coppell agreed. "I am sad," said Coppell. "I am a proud English manager and would have loved an Englishman to have been in charge. "You look at the list of contenders and what he (Capello) has done ticks all the boxes but I just wish he was English. "We have now created a situation where it is very hard for an English manager to get to the top of the tree." Former England captain Tony Adams, now working under Harry Redknapp at Portsmouth and linked to a backroom post with England, reiterated that view. "I've got no argument with Capello's CV, it's a fantastic CV," said Adams. "I'm a massive admirer of his but I still wouldn't have had him as England manager because I just wanted an Englishman to take this country forward." And Mark Hughes, who was in charge of his native Wales before taking over at Blackburn in 2004, said: "The longer it goes on that the top jobs go to foreign coaches, the more difficult it will become for English and British coaches to get the big jobs in the future. "I am disappointed for British coaches because another huge opportunity has been given to a foreign manager."